Fresh elections are scheduled for January 2019 following a political crisis between the major political camps both claiming for power in Sri Lanka. President Sirisena dissolved Parliament last week and snap elections are expected for early January. While one camp is represented by President Sirisena and his nominee Rajapaksa as Prime Minister, on the other hand there is the opposition of Wickremeshinge who called the move to dissolve parliament as unconstitutional. The political crisis was discussed by People’s Liberation Front (Janatha Vimukthi Peramuna) leader and MP Anura Kumara Dissanayake in an interview. 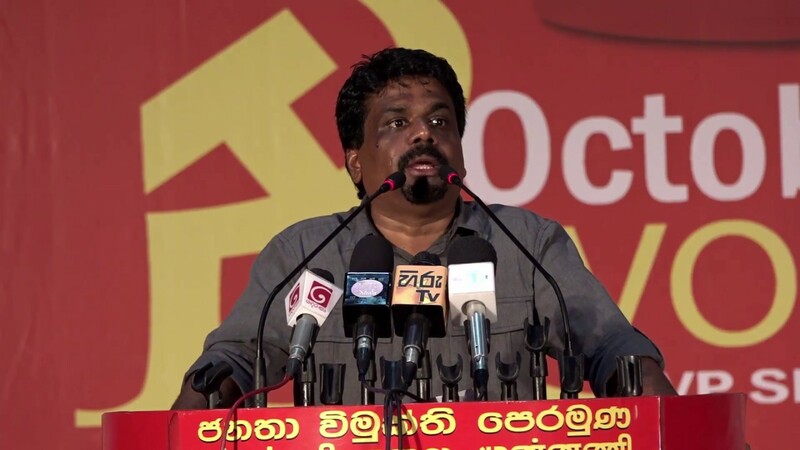 According to Dissanayake, the opposition against Rajapakses has directly and indirectly worked to delay the investigations relating to the frauds and acts of corruption of the former regime. ‘If there had been a genuine interest to unearth the truth relating to these frauds and acts of corruption, they could have been uncovered. Those who were hell bent on taking these robbers into custody, they are now conniving with the same group of robbers to form a new Government. We have no doubt that this is an extension of the black era of the Rajapakses.’ Dissanayake called the all groups to be ‘gambling and risking the lives of the people’. The dictatorial Rajapakse government had fallen after ending the decade-long civil war with the Tamil Tigers where many had been killed. Representing Budhist racism, Rajapakse was congratulated by China after being named as Prime Minister, while India, EU and US had called for the constitution to be respected. President Sirisena from the Sri Lanka Freedom Party (SLFP) and the now sacked prime minister Wickremesinghe from the United National Party (UNP) had joined forces in the 2015 election to defeat the then long-time president Rajapaksa. JVP PB member Bimal Rathnayake had stated in an interview with ICP late June that JVP as a Marxist-Leninist party is organized in the workers’ movement, student movement and the farmer movement as the third national party of the country.